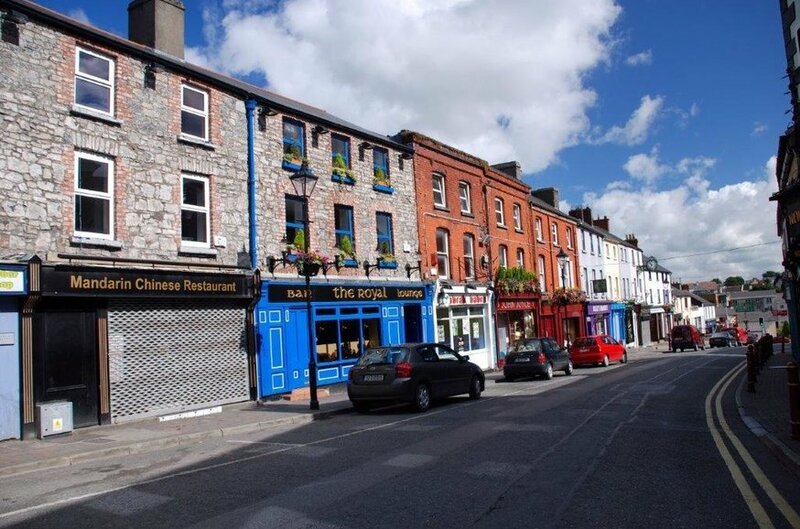 Navan is located approximately 45km north west of Dublin City Centre. It is the county town of County Meath. 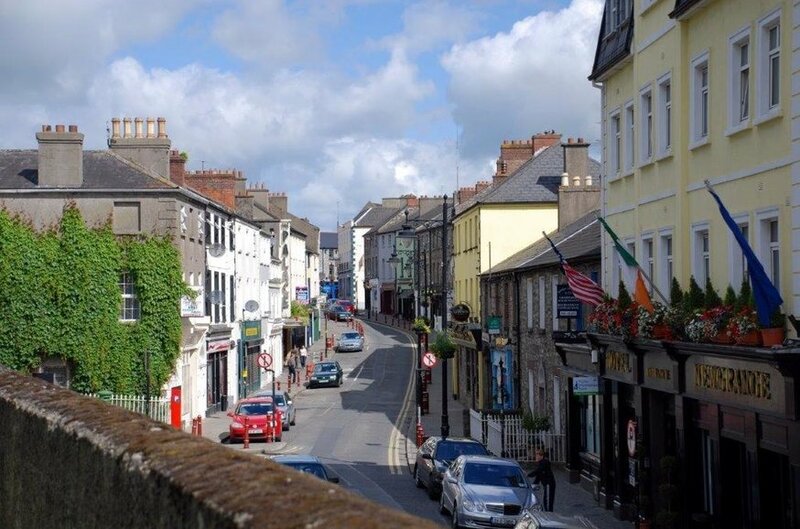 In 2016, the town and its environs had a population of 30,173 making it the 5th largest town, and 10th largest urban settlement, in Ireland. Navan is situated along the River Boyne at the confluence of the Blackwater and the Boyne. It is served by the M3, N3 and N51 national roads as well as various regional roads. The quality and abundance of natural heritage provides high amenity value serving as an excellent setting for the town. 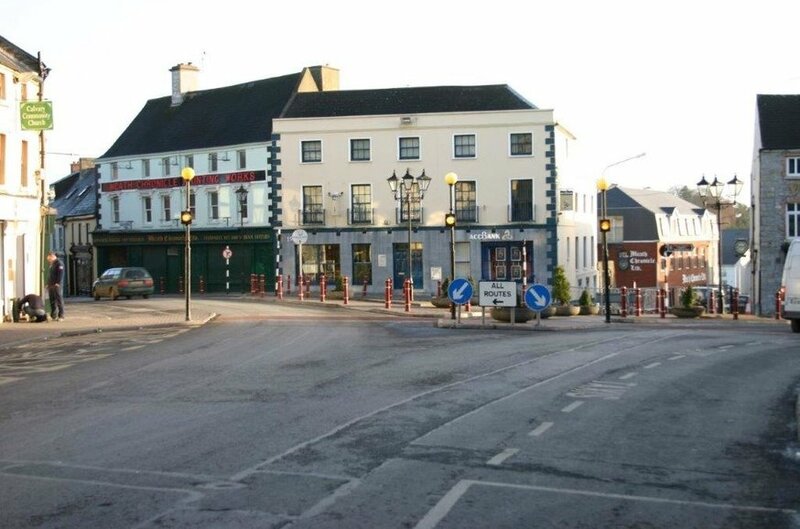 Navan is a main service centre, providing for the town’s population and a large hinterland. Navan had rapidly expanded to become a large dormitory town due to its proximity to Dublin. The period from 1996 to 2011 saw unprecedented growth in the town which was amongst the highest experienced by any urban centre in the country. There are a number of major employers in Navan including the Courts Service, the Health Service Executive, Navan Hospital, Probation Service, the Garda Civilian Human Resources Directorate, the Coroner’s Service Implementation Team, Revenue Commissioners and the Property Services Regulatory Authority. Tara Mines is located just off the Kells Road. 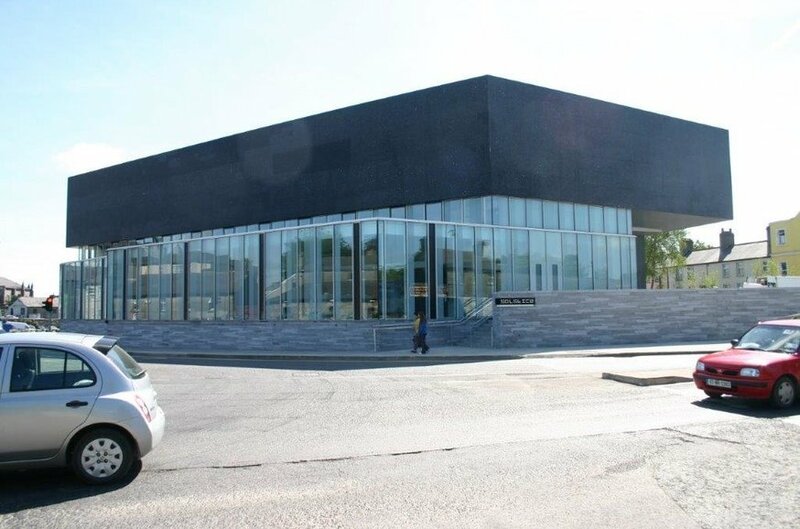 In addition, other significant land uses include educational, recreational, commercial uses such as Navan Shopping Centre and various new residential estates. 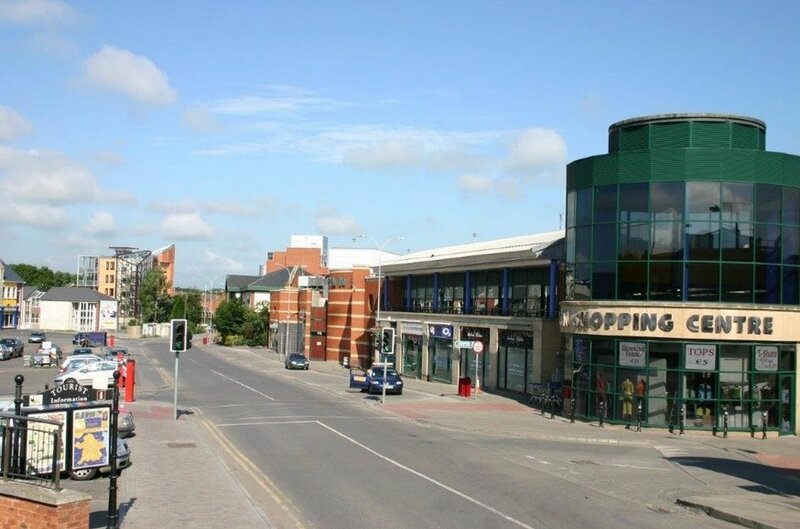 Navan has a large shopping centre as well as many shops along the main street which attracts many customers. The shopping centre has internationally known shops such as Pennys, River Island, New Look, Tesco supermarket, Boots and many others. The property comprises approx. 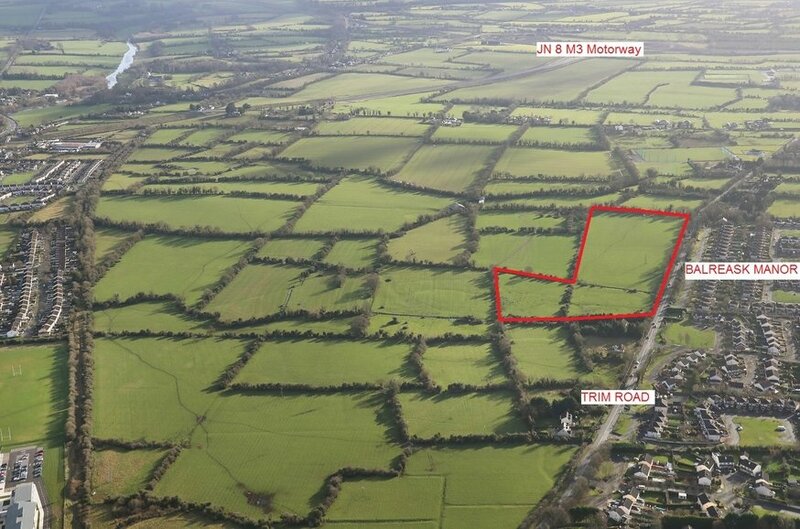 6.39 Ha (15.79 acres) and comprises a superbly located development opportunity. It is located on the eastern side of the Trim Road approx. 2km south of Navan Town centre and 50 km to the north west of Dublin city. The Trim Road is a busy arterial route for traffic to and from the Town Centre and there is a wide mix of land uses in the area. The lands are opposite the established residential development known as Balreask Manor. It has frontage to the Trim Road of approx. 350m. 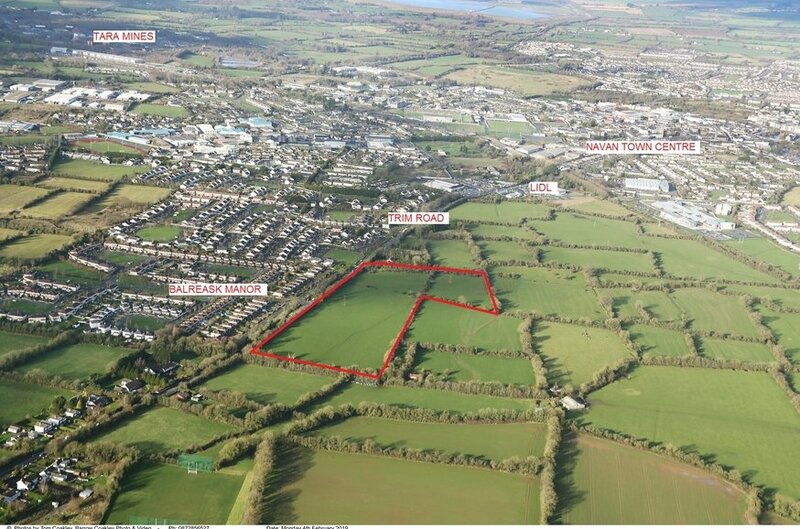 The property is zoned A2 New Residential under the Navan Development Plan 2009 – 2015.This Development Plan is currently under review. There is also a phase 1 objective road proposal passing along the eastern side of the site connecting the Trim Road with the Dublin Road. A feasibility study has been prepared by NDBA Architects and is available on application. 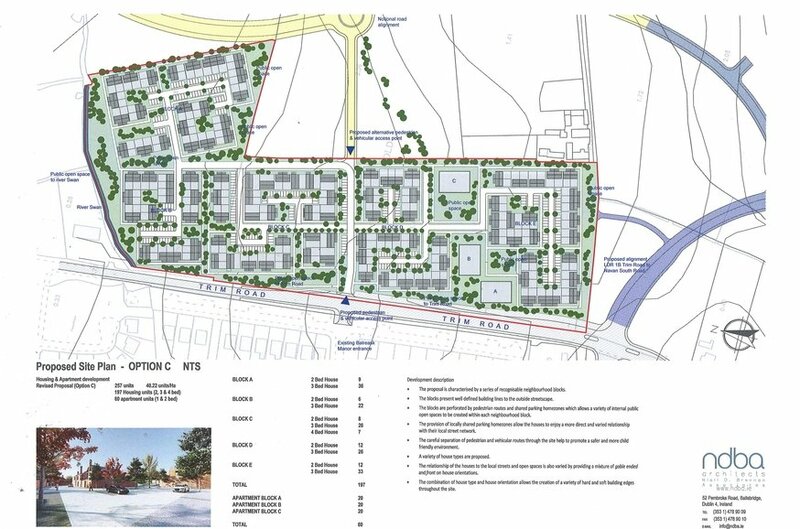 Briefly the study sets out the potential for 257 units (197 houses and 60 apartments) providing density 40.22 per ha. The NDBA feasibility study outlines a minimum of 257 residential units on the site. This excessed the 100 residential unit threshold limit above which the planning route must be via the SHD (Strategic Housing Development) planning process.